As a result of St. Clair’s disasterous defeat on the Wabash at the hands of the Native Americans, President George Washington turned to Revolutionary War hero, General Anthony Wayne to lead the newly formed Legion of the United States against the loose confederation of tribes in the Ohio Country. Wayne built a training base outside of Pittsburgh known as Legionville. Here, Wayne turned this fledgling army into a formidable fighting force by constant drilling and other training. On April 30, 1793, and after lengthy preparations, this large flotilla of troops floated down the Ohio River to occupy Fort Washington in present day Cincinnati. Join us here at Heritage Village Museum as we step back to those days with Wayne’s Muster. 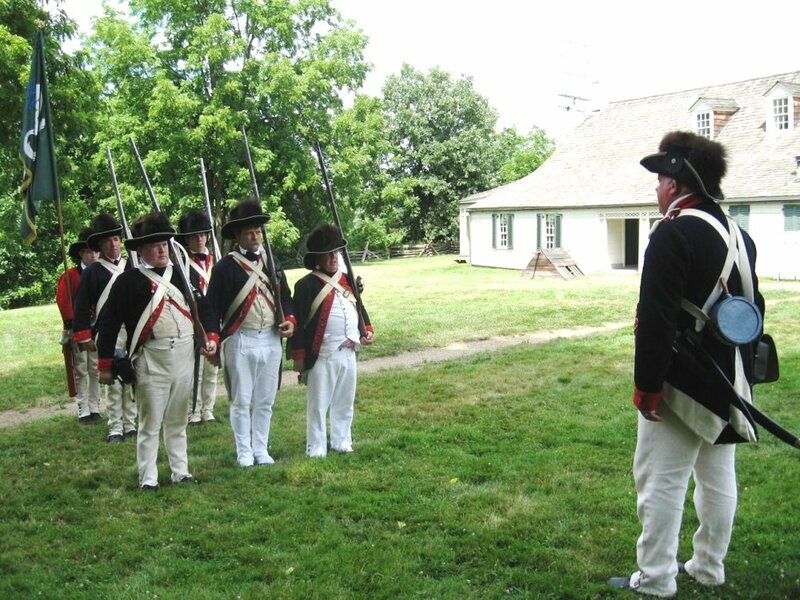 General Anthony Wayne’s Fourth Sub-Legion will be here to demonstrate the life a soldier during the early years of Cincinnati. Visitors will experience camp life, military drilling, and cooking in our stone kitchen and fire pit by the Sub-Legion’s Women of Camp. Great time today watching Waynes Muster as they Posted and Retired Colors. Learning about the regiments history and observing their precision drill and marching skills was educational and their military discipline would have made General Von Steuben proud.